Comfort First Products strives to provide customers with a variety of products that enhance their life and well-being. Working in the HVAC industry since 1995, our goal is to solve the common workplace problem of thermal air comfort and air quality control. 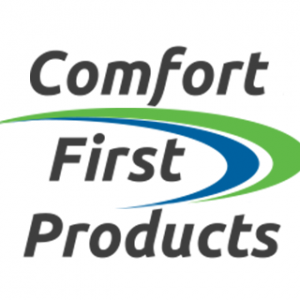 Comfort First Products specializes in indoor air quality products that work to increase comfort and improved airflow while maintaining a proper system balance. When the air ducts in your office are not properly maintained, you are not only putting the unit at risk to break, you are affecting the health and comfort of those in your building as well. At Comfort First Products, we have worked hard to provide quality solutions and products to create a more comfortable, healthy, clean, and productive indoor working environment. We’re able to accomplish this with our commercial air vent deflectors that route the air away from the people in your office while also eliminating pollutants and allergens. Through the use of Control-A-Flow® and Comfort First Filtered Diffuser ™, we are able to provide businesses with IDM patented innovative technology to maintain airflow throughout their entire company, improving thermal comfort for their employees. Comfort First Products’ flagship product, Control-A-Flow® Draft Eliminator, is a patented air deflector that installs easily under existing supply air diffusers to immediately increase comfort levels while simultaneously improving air quality through advanced anti-microbial filtration of dust, pollens, bacteria, rust, and other airborne pollutants. This US patent # 5564975 was issued on 10-15-1996. Our second patented product is the Comfort First Filtered Diffuser™. This is a four-way adjustable metal diffuser with filters covering each discharge location from the inside. It is designed to replace existing diffusers or are ideal for new buildings or remodels. Are You a Reseller? Please call to place your order so we can keep your reseller certificate on file and avoid charging taxes. We can then offer you reseller pricing based on volume. Comfort First Products has been certified as a women-owned business, WBENC National Women’s Business Enterprise Certification # 2005119901. We are also a certified small business with the State of California – DGS procurement division. Our Ref # is 0041136. We have registered with the Central Contracting Registry – Cage Code 4N1Z2 and our DUNS # 939935573 and our Federal Tax ID 05-0574233. We are also certified as a WOSB with the SBA – Small Business Administration.